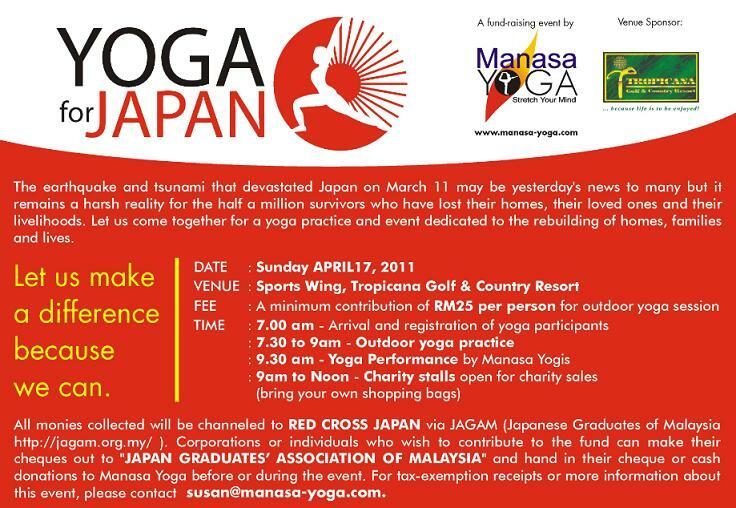 Here’s a charity yoga event organized by Manasa Yoga on Sunday 17 April at Tropicana Golf & Country Resort. Bring your loved ones and join in the effort to raise funds for the victims of the recent Japan nuclear crisis. Activities for the family include Outdoor Yoga, Yoga Performance and Charity Sales. Proceeds will be channeled to Red Cross Japan.